Today's successful launch of ULA's Delta IV Heavy rocket may have appeared to be just like any other launch, but this mission is anything but 'same-o same-o' ... it's nothing like anything before. The Satnews team watched the successful launch of ULA's Delta IV Heavy rocket live as all proceeded on time on Sunday, August 12 at 3:31 a.m. ET to launch NASA's Parker Solar Probe. So far all has proceeded on schedule. NASA selected ULA’s Delta IV Heavy for its unique ability to deliver the necessary energy to begin the Parker Solar Probe’s journey to the sun. 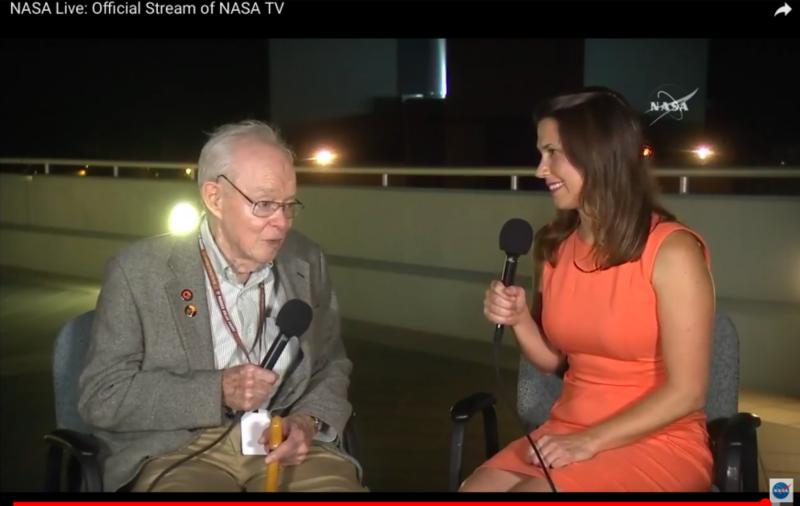 Among the many folks at this special event was the renowned Dr. Eugene Parker for whom the Parker Solar Probe was named. The solar probe cost NASA US$1.5 billion. This is one of the most remarkable space missions to date that includes the fastest spacecraft in history. At its closest approach, Parker Solar Probe will reach a top speed of 430,000 miles per hour or 120 miles per second. The incredible velocity is necessary so that the spacecraft does not fall into the sun during the close approaches. Temperatures will climb to 2,500 degrees Fahrenheit, however the science instruments will remain at room temperature protected behind a 4.5-inch-thick carbon composite shield. 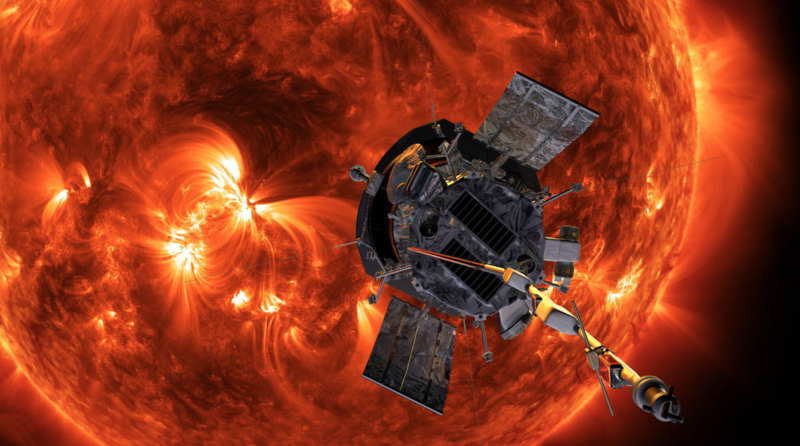 NASA’s Parker Solar Probe will be the first-ever mission to "touch" the Sun. The spacecraft, about the size of a small car, will travel directly into the Sun's atmosphere about 4 million miles from our star's surface. The Parker Solar Probe will make repeated journeys into the sun’s corona and trace the flow of energy to answer fundamental questions such as why the solar atmosphere is dramatically hotter than the sun’s surface, what accelerates the solar wind that blows outward through the solar system and what is the source of high-energy solar particles. Parker Solar Probe will make 24 elliptical orbits of the sun and use seven flybys of Venus to shrink the orbit closer to the sun during the seven-year mission. The probe will fly seven times closer to the sun than any spacecraft before, a mere 3.9 million miles above the surface which is about 4 percent the distance from the sun to the Earth. The Parker Solar Probe and the mission are named in honor of Dr. Eugene Parker, an astrophysicist who discovered solar wind in 1958. And getting that mission going will be a United Launch Alliance (ULA) Delta IV Heavy rocket that is in final preparations to launch NASA’s Parker Solar Probe from Space Launch Complex-37. NASA selected ULA’s Delta IV Heavy for its unique ability to deliver the necessary energy to begin the Parker Solar Probe’s journey to the sun. After launch, the spacecraft will orbit directly through the solar atmosphere — the corona — closer to the surface than any human-made object has ever gone. 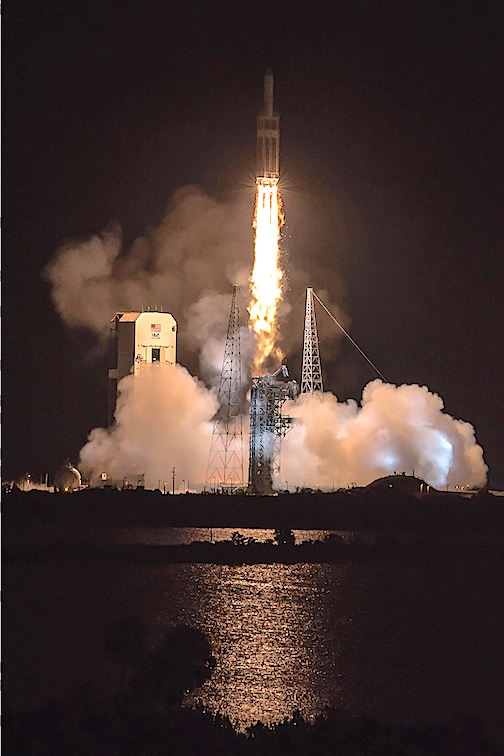 The Delta IV Heavy is the nation’s proven heavy lifter, delivering high-priority missions for the U.S. Air Force, National Reconnaissance Office and NASA. With its advanced upper stage, Delta IV Heavy can take more than 14,500 pounds directly to geosynchronous orbit, as well as a wide variety of complex interplanetary trajectories. This Delta IV Heavy is comprised of three common core boosters each powered by an Aerojet Rocketdyne (AR) RS-68A liquid hydrogen/liquid oxygen engine, producing a combined total of more than 2.1 million pounds of thrust. The second stage is powered by an AR RL10B-2 liquid hydrogen/liquid oxygen engine. Due to the extremely high energy required for this mission, the Delta IV Heavy’s capability will be augmented by a powerful third stage provided by Northrop Grumman. This will be the 37th launch of the Delta IV rocket, and the 10th in the Heavy configuration. To date ULA has a track record of 100 percent mission success with 128 successful launches. With more than a century of combined heritage, United Launch Alliance reports it is the nation’s most experienced and reliable launch service provider. ULA has successfully delivered more than 125 satellites to orbit that aid meteorologists in tracking severe weather, unlock the mysteries of our solar system, provide critical capabilities for troops in the field and enable personal device-based GPS navigation. ULA's next launch is the ICESat-2 mission for NASA on what will be the final Delta II mission. The launch is scheduled for September 15 at Space Launch Complex-2 at Vandenberg Air Force Base, California.